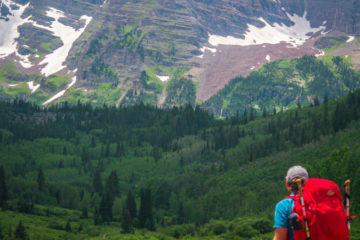 Wanderers, nomads, vagabonds, van dwellers; the names for the lifestyle are as diverse as the means by which it is accomplished. However, there is only one qualifying factor: your home has wheels and it follows you wherever the road may lead. 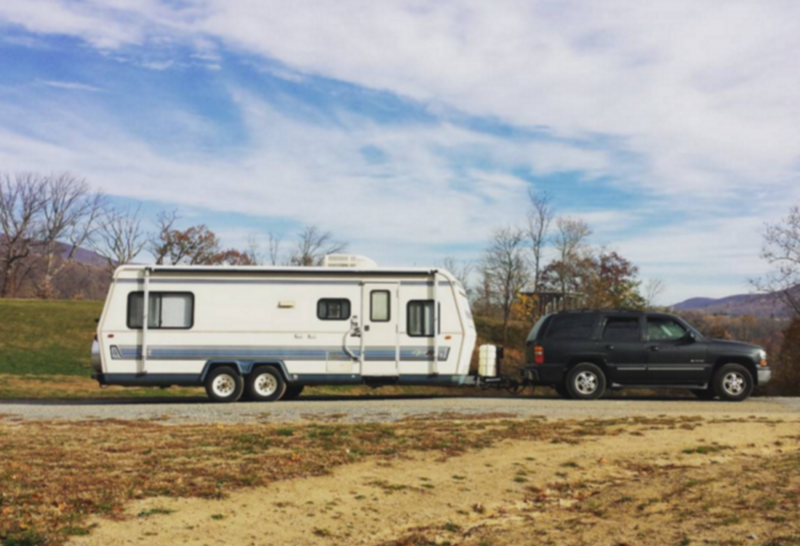 For this growing group of travelers, home is where you park it. Take a cost cutting lifestyle, mix in a little creativity, ingenuity and a need for adventure – and you get the modern day nomad, living perhaps the most epic road trip. The kind that never seems to end. But exactly how is it done? Here are the stories of five adventure rigs and the folks behind them, each with a different answer to the question. 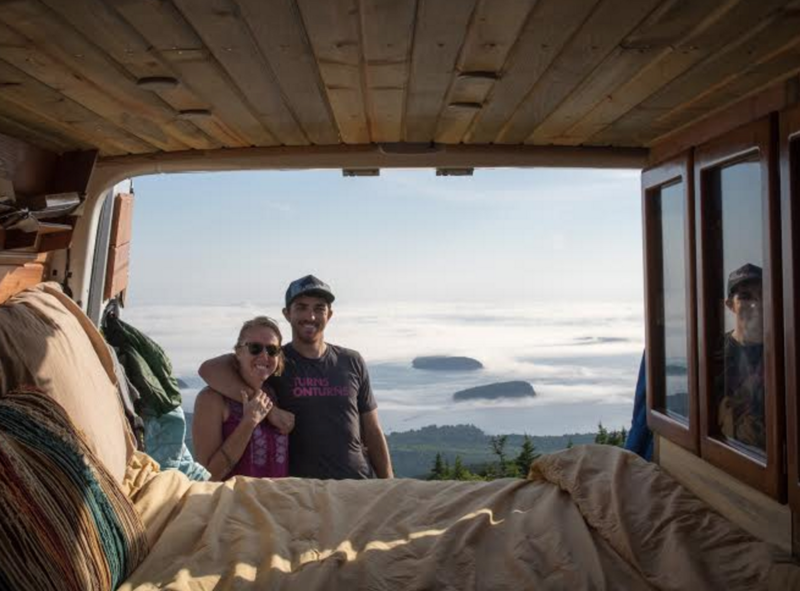 Chelsea and Ryan of @Vantasticvibes, a van-life couple rambling their way up the U.S East Coast, are living and traveling in their Mercedes Sprinter Van along with their pup, Luna. 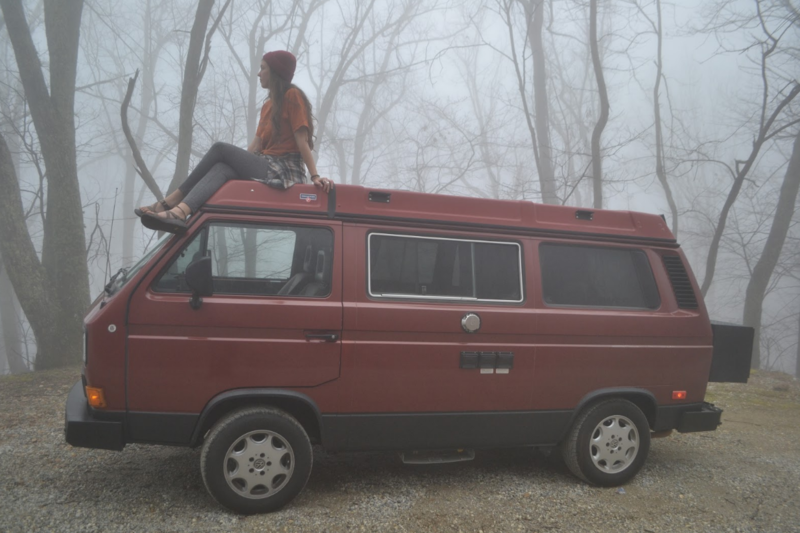 After getting their feet wet with short road trips spent sleeping out of their ’95 Ford Aerostar (complete with a wood framed bed in the trunk), they decided to dive fully into van-life. A short peruse of Craigslist landed them their stealthy diesel Sprinter Van. From the outside, this mobile home appears to be a simple cargo van – perfect for blending in when your campsite looks more like a city street. But slide open its side doors and you’ll be met with the homey smell of wood paneling that fills their self-customized home on wheels. Their Sprinter Van is built-out for their life on wheels and their love of the outdoors. Everything they own is within the metal frames of their mobile home. And though their travels are currently fueled by their savings account, they intend to indefinitely call this Sprinter Van home. Chelsea, Ryan and Luna have spent the past few months in the company of good friends and great mountain biking trails along the Blue Ridge Region. One common story seems to rise from the community of modern day nomads. Each individual, in their own way seemed to notice a rhythm in life that they found unsatisfactory. From that realization sparked a need for change. Instead of racking up the score on their personal collection of materialistic things, they wanted a lifestyle rich in time and experience. How do you spend more time enjoying life and less time working just to pay the bills? You cut the costs. This was the story for Rebecca and Ryan of Our Streamlined Life. 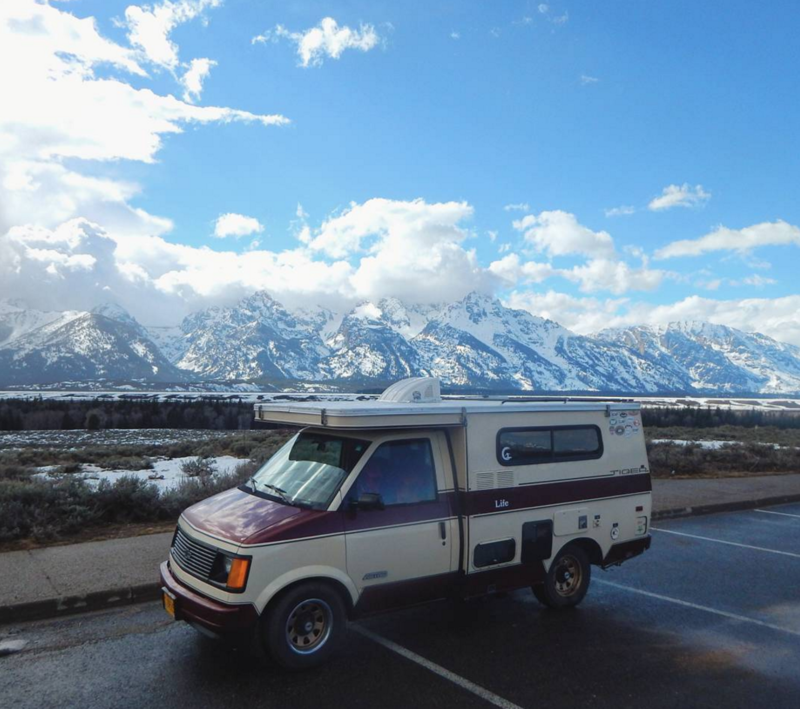 In July, 2015 they purchased their 26’ Holiday Rambler and became full-time travelers. When they moved into their house on wheels, their trip had an unclear expiration date. How long would this lifestyle be sustainable or even enjoyable? Now a year in, this dynamic duo has no intention of turning back. They have found freedom on the road and are now blurring the lines between hobbies and work. Rather than planning trips around work, they plan work around their trips. Rebecca uses her talent and passion for writing to work on the road. While Ryan finds jobs doing what he loves when they decide to park their home in a new place. Currently, Rebecca and Ryan are camping out in Northern Virginia while Ryan works as a whitewater rafting guide. Come mid-August they will be traveling from Maine to Tennessee. 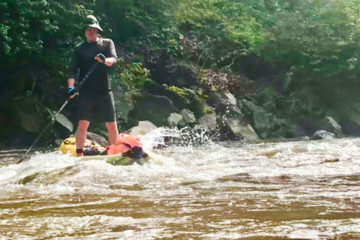 Their trip through the Appalachian Mountains will be timed perfectly with the dam release season on the Gauley River – a whitewater rafter’s dream. 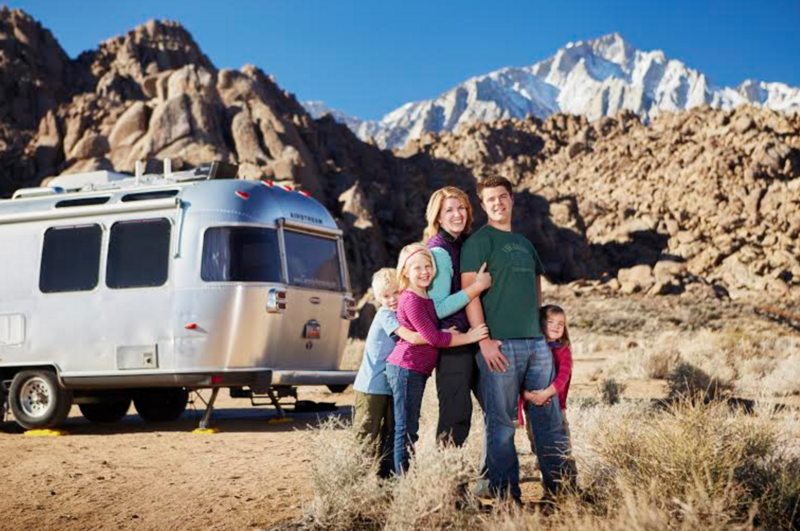 The adventurous family of five behind Currently Wandering has been on the road since 2013. Their journey began when the family uprooted themselves from Utah for a house-swap opportunity in Virginia. A short time later, they were on a six-month road trip through the Carolinas, Georgia, Florida and around the countries perimeter landing back in Utah. Now, a few years down the road, their trip has yet to end. For Sam, Jess, Rachel, Andrew and Cara; home is their decked-out 2008 International CCD 27FB Airstream. This dream machine is rigged with solar panels, a full kitchen, wifi and lots of creatively used spacing for a family of five. How do they make it work? – Creative budgeting, remote jobs, homeschooling, acceptance of simplicity and a passion for the outdoors. Big dreams, board sports and brotherhood are what fuel this fifth road dwelling crew. Matt and Josh, two van-life brothers, began their journey on a whim. After a spontaneous camping trip spent sleeping in their company van, the brothers decided “why not?” and headed off on a road trip. Unsure of how long they would be gone or where they would travel, Matt and Josh truly were “The Van With No Plan.” Now three years later and counting, the pair has been to 44+ states. Today, with a growing crew, each brother has an Astro Van home of his own. Matt – a 1990 Tiger Provan and Josh – a 1987 Allegro Adventure-Mobile. These Astro Vans can be found roaming down the road in search of odd jobs and skate parks. Both brothers make a point to work hard for their traveling lifestyle. Funding for their trip comes from work they find along the way through Facebook or job listings. Though they don’t often stop in one place for more than a month, they have spent their last eight weeks working on a dam in New York.